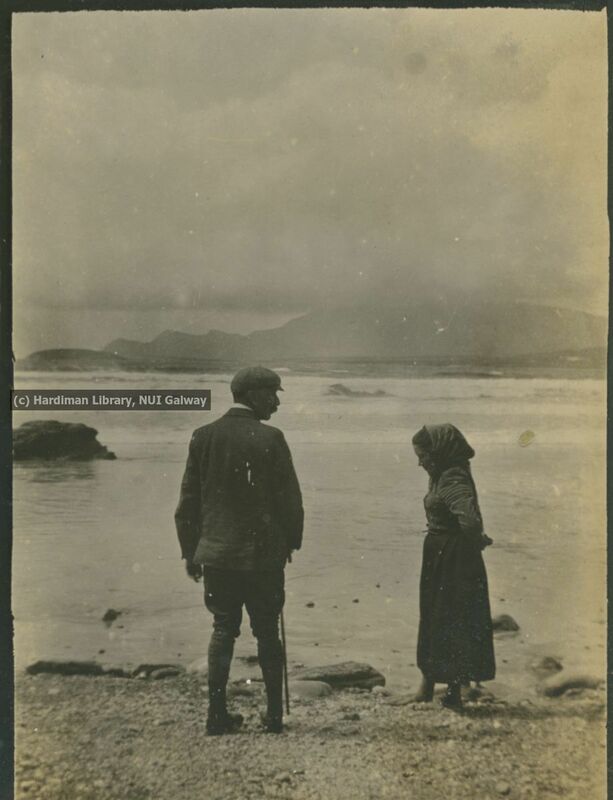 This post continues the theme of Library Ireland Week, 'Empowering Through Online Access'. One of the services the Library provides to improve your online experience is the bX Article Recommender. bX is a very effective way to help you discover other articles that you might find useful in your research. Think of it like using a shopping site such as Amazon - when you look for an item, you often find some information on the page saying 'People who viewed this item also viewed these similar items'. There you'll see a list of items similar to the one you're looking at. bX works the same way; taking information from institutions across the globe, bX makes recommendations based on the article you're linking to. So essentially bX is a list of articles that other users around the world viewed in addition to the one that you're linking to. It's a great way to discover more information on a topic that you mightn't have been aware of. Just a final note - bX works based on users from all around the world, so from time to time the recommendations will be for journals the Library doesn't currently subscribe to. If you don't see a 'Full Text' option in the menu, then that means the Library won't have access to it. bX is a powerful service though, and will often provide a huge amount of article recommendations for you to choose from. 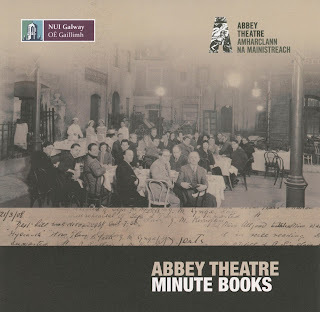 The James Hardiman Library at National University of Ireland, Galway, hosted a seminar on Tuesday 4 October which told the story of the Abbey Theatre Digital Archive, created by one of the largest theatre archive digitisation projects undertaken worldwide. It reflected on challenges faced, lessons learned, new opportunities and impact on academic mission, library and archives. 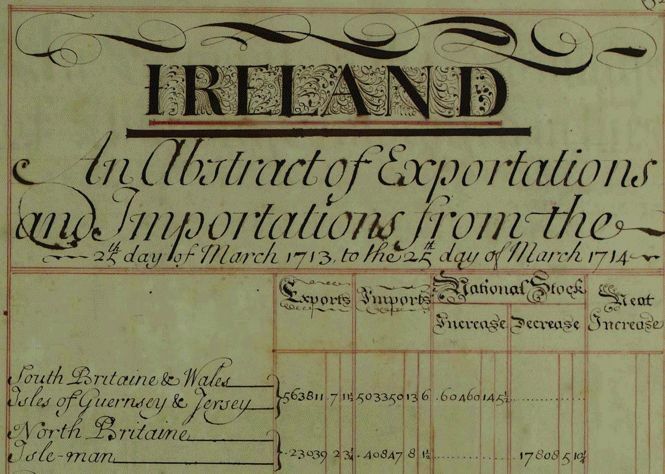 On Tuesday 17th January, we will continue our series of lunchtime brown-bag events to focus on Duanaire, A Treasury of Digital Data for Irish Economic History. Everyone is welcome to this Brown-bag Pitch and registration is free. To allow us adequately provide for catering, we request that you please register. Details on how to do so will follow. Welcome to this podcast from the Archives of the Hardiman Library, NUI Galway. This episode features a conversation with Professor Frank Shovlin, who shares his experiences and thoughts from extensive research carried out on the archive of writer, John McGahern. 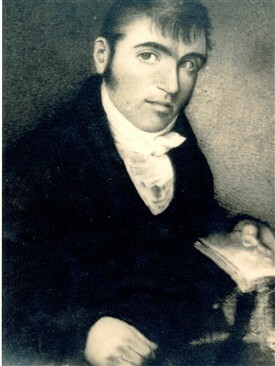 Frank was educated at University College Galway where he took BA and MA degrees before moving to complete doctoral studies at St John's College, Oxford. 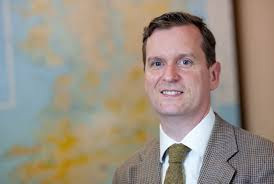 In 2008 frank became a senior lecturer at the University of Liverpool and in 2014 took up the role as head of department at the Institute of Irish Studies at the University of Liverpool. Frank has earned numerous competitive fellowship awards, notably Leverhulme Study Abroad Fellowships and Moore Institute Visiting Fellowships which enabled detailed study of the Archive of John McGahern. 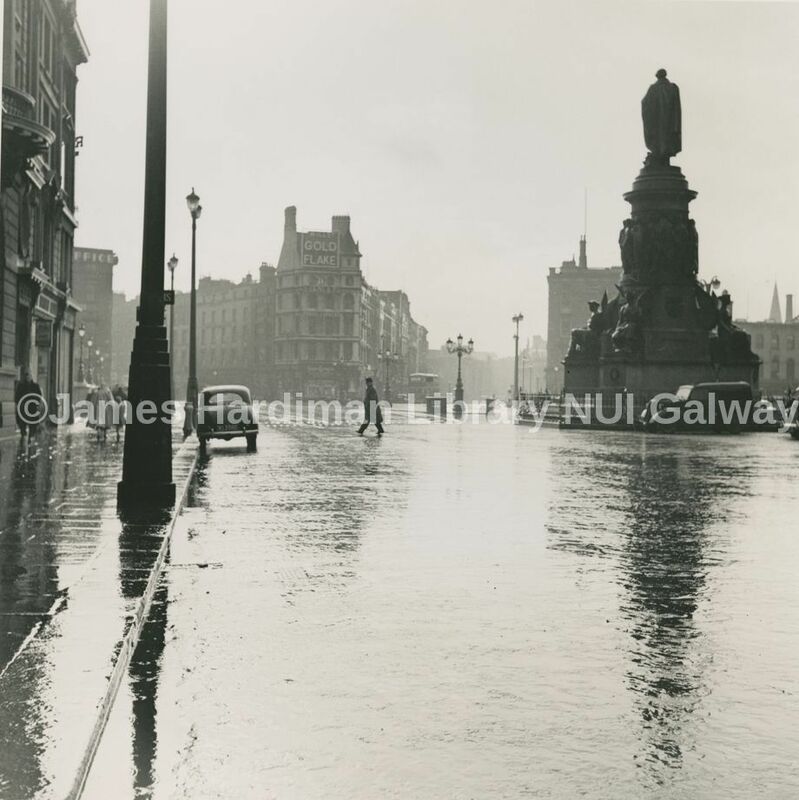 Frank has published widely in leading journals and publications on Irish literature, print culture and related topics. Previous monographs include "The Irish Literary Periodical 1923-1958" ; "Journey Westward: Joyce, Dubliners and the Literary Revival" and Frank's most recent monograph is entitled "Touchstones: John McGahern's Classical style"
In this conversation Frank discusses his engagement with the archive of the archive John McGahern and how that archive has influenced Frank's research. The week of 28th November is Library Ireland Week, and this year’s theme is ‘Empowering Through Online Access’. We in the Library are committed to providing our users with easy access to resources of the highest quality. There is a very clearly proven reason for this: access to the highest quality journals means you have the best research in your field accessible to you. This means that your own research in turn will be of high academic quality, and will subsequently be used as research from users in other highly-ranked global research institutions. Being part of this cyclical research process is one of the key strategic themes for NUI Galway. The NUI Galway user community are very heavy users of online scholarly information to aid their research needs. From Oct 1st 2015 to Sept 30th 2016 there were a hefty 1.68 million journal articles accessed, and an additional 700,000 ebook chapters read. So for every day during that year, the NUI Galway user community accessed an average of 4,600 journal articles and 1,900 ebook chapters. That’s a lot of research! ScienceDirect is the most popular resource in NUI Galway, with over 450,000 journal articles viewed in the last academic year. This is over 2.5 times as many articles viewed as its nearest rival, JSTOR. The other big multi-disciplinary resources, JSTOR, EBSCO, and Wiley all had between 100,000 and 175,000 fulltext articles viewed over the year. Such high figures clearly show how that while research and innovation are strong themes for the NUI Galway’s path into the future, the NUI Galway user community is already showing a strong commitment to research across all disciplines. If you want to find out more about which resources are the best ones for your subject areas, then check out our brilliant LibGuides. LibGuides are a perfect starting point to access the resources best for you. As well as having dedicated subject guides for each discipline, you’ll also find other key information on how to research effectively, systematic reviews, and valuable information on plagiarism and citations. Checking out the LibGuides will save you hours of work in the future, as well as making sure the work you do will be of the highest quality; so whether it’s an assignment or research for an article you want to publish, we’ve got you covered. As part of Library Ireland Week we are promoting a number of our online newspapers with a focus on Irish resources. 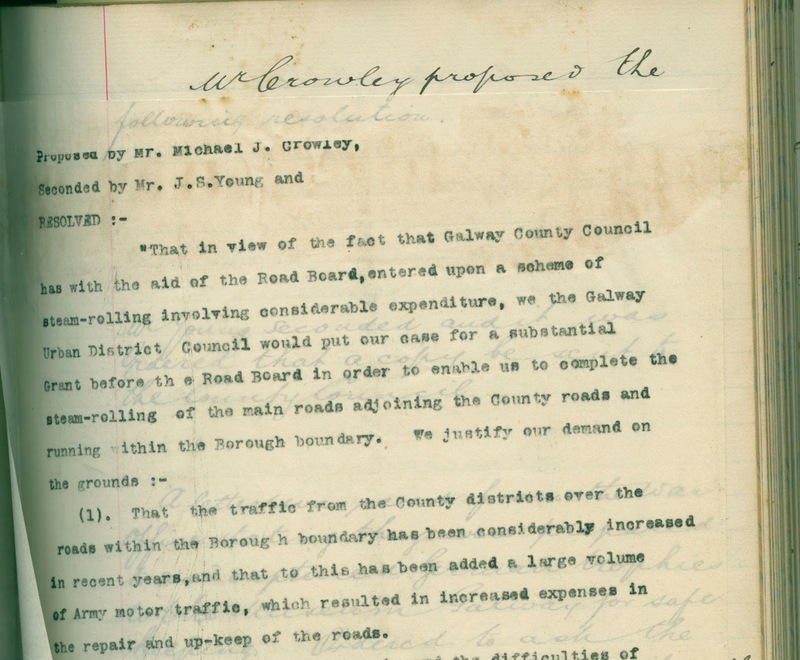 The Irish Newspaper Archive is a wonderful example of this providing access to a range of national and provincial newspapers, with extensive historical and contemporary coverage. 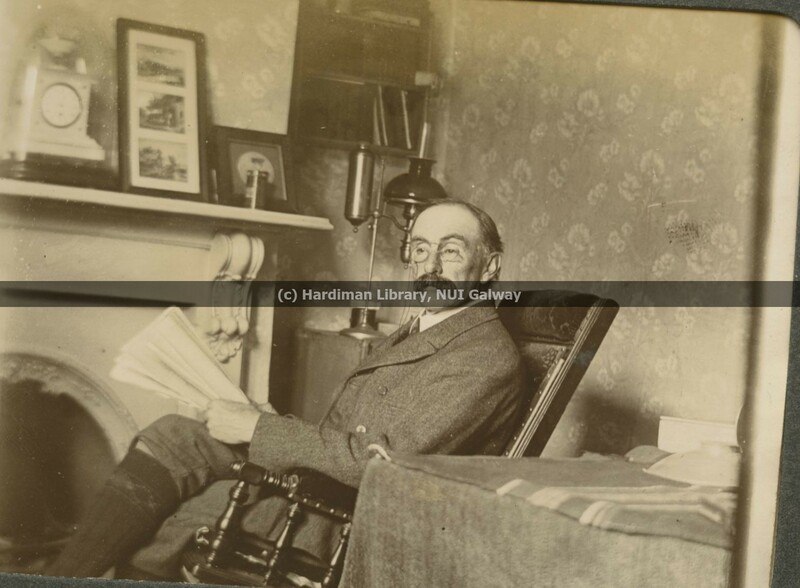 The newspapers are in complete digital, searchable form. 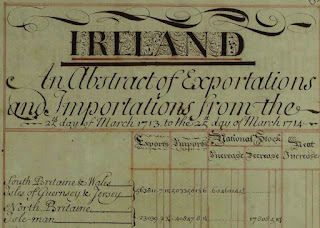 The Irish Newspaper Archive is now the main method of access to provincial newspapers in the Library. A full list of titles with coverage is available. Check out our website for more information on other newspapers available in the Library. As part of Library Ireland Week we are promoting a number of our online resources with a focus on newspapers and publications that cover contemporary events. The Economist remains one of the most read publications for contemporary social, political and economic events. The Economist Historical Archive provides a complete searchable copy of every issue of The Economist from 1843 to 2012. This is a total of over 8000 issues offering unique access to historical, sociological, economic and cultural events over the past 175 years. 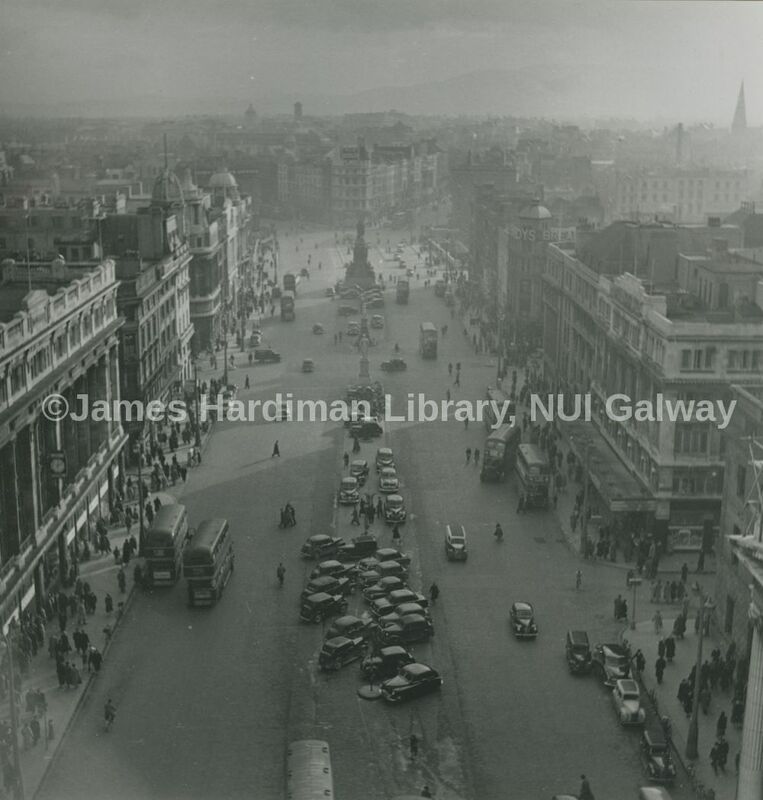 Also of interest within this collection are wonderful images of Dublin's O'Connell street in the early 1950s. 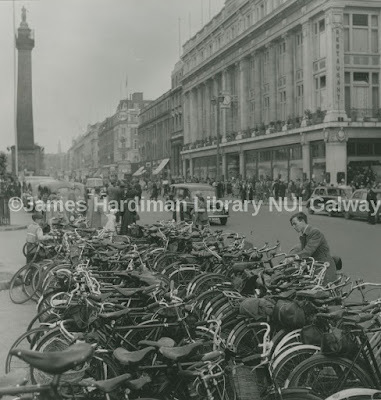 We are used to seeing Dublin's streets choked with traffic today but we can but imagine the quite recent past of the 1950s where bicycles far outnumbered the number of cars on Dublin's main thoroughfare. 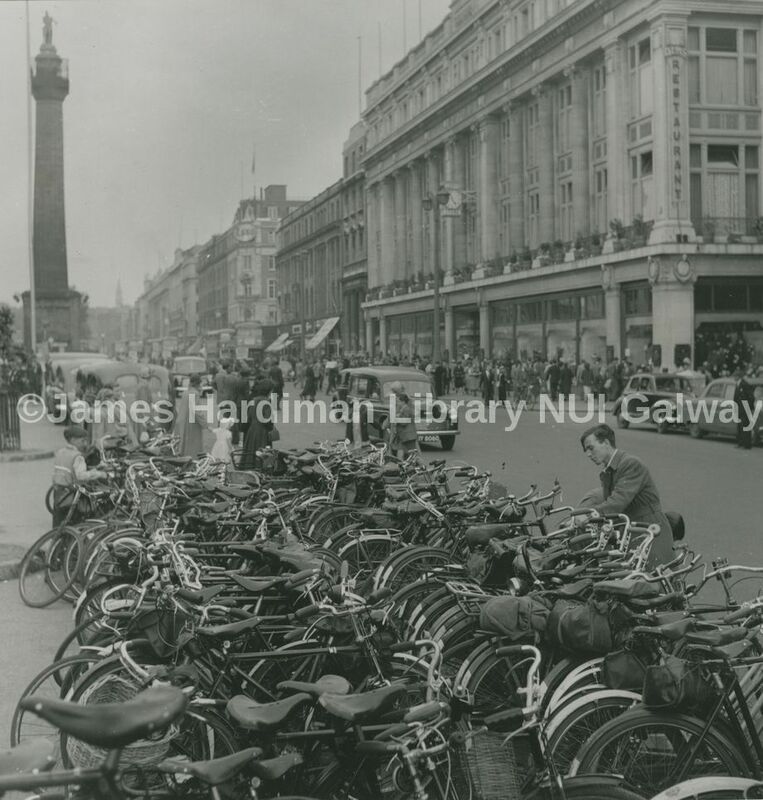 These images show another side of Irish society, before the motor car became the primary mode of transport in today's society. 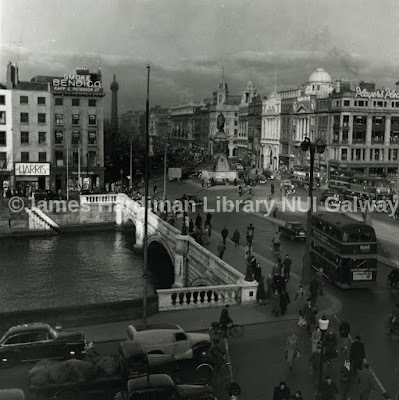 It is also of the period between when Dublin's original tram system was removed and today's modern LUAS was reinstalled onto Dublin's streets. 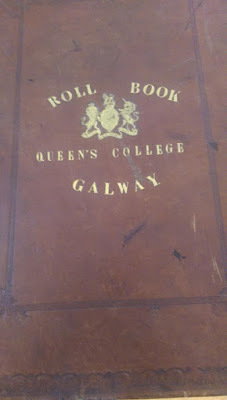 The visitor book of Queens College Galway/University College Galway is a record of all guests and notable visitors to campus for the years 1877 - 1928. 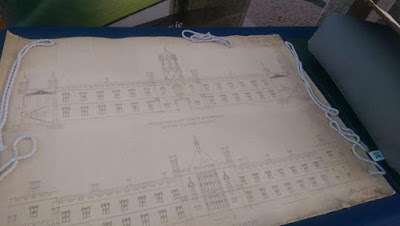 A simple volume like this was in use when the campus comprised only the Quadrangle building we know today but carries huge significance within the hundreds of signatures within its pages. 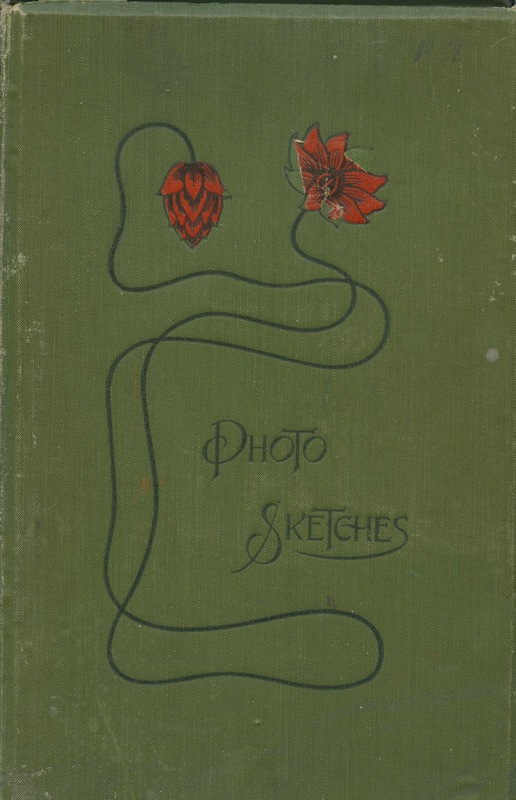 The book covers a span of years that was revolutionary, in many senses, in Ireland and for the University with its place within the network of 'Queen's Colleges' of Ireland and the U.K. 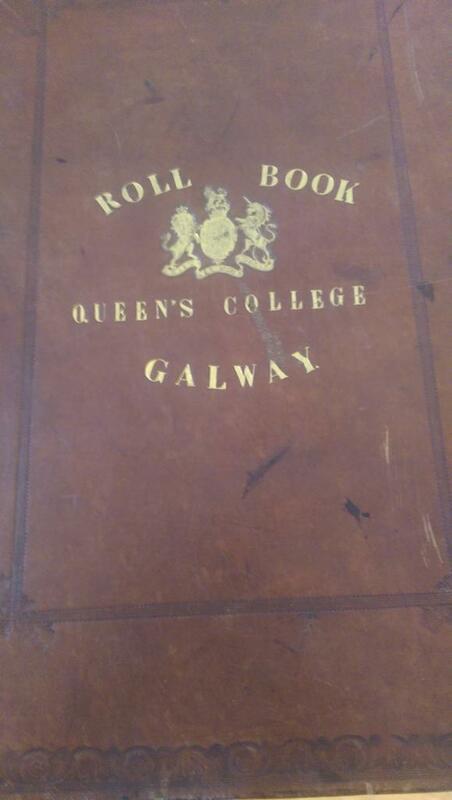 Through the years the book was in use, it witnessed the growth of the University, the rise and fall of Charles Stewart Parnell, the reign and later death of Queen Victoria, the 1916 Rising which had ripple effects across the west, the first world war which saw staff and students of the college enlist and also die on the battlefields of Europe, the 1918 Election, and other major events through the Revolutionary period in Ireland, through to the late 1920s. The book has been on display in the Archives and Special Collections Reading Room for much of this year as a centre-piece of the exhibition, "A University in War and Revolution: 1913 - 1919". 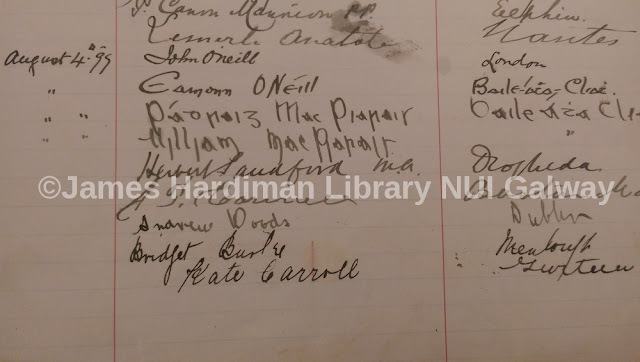 A truly unique occurrence happens in August 1899 when both Pearse brothers, Padraig and William, sign the register as visitors to campus. It is a rare occasion in history where both brothers' signatures are signed side-by side. 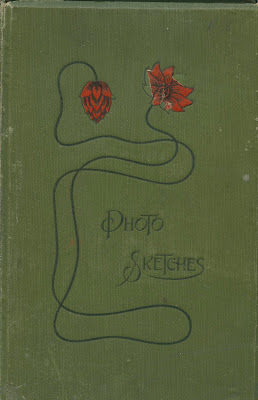 However, another curiosity occurs at the very last entry in the book. Dated 1928 is the signature of 'Douglas Fairbanks', Hollywood, Cal[ifornia]." There is no available information as to why Fairbanks, one of the most celebrated actors of his generation at the time was at UCG. Fairbanks was married to actress Mary Pickford at the time, who had Irish roots. Was he here as a guest of the President of the University or an academic? Was he on holidays in the region at the time? Or was the signature a prank by a student of the day?! 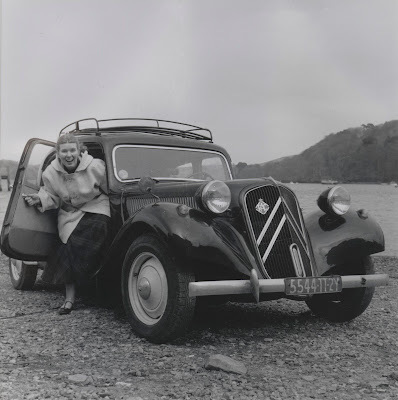 Any film buffs out there who might have any clues, do let us know. All Presidents need some down time. For Douglas Hyde, academic, Irish language activist and first President of Ireland, this place of privacy and contemplation was at his family home at Frenchpark, Co. Roscommon. The family moved to the area of Ratra in the 1860s and always maintained a special place in the heart of Douglas Hyde. (Hyde would also go by the nom de plume “An Craoibhin Aoibhinn”) Even in his advanced years, after becoming President of Ireland in 1938 and taking residence in Áras an Uactaráin in Dublin, Hyde still made private visits to Frenchpark, returning to re-live some quieter moments among the nature he so quite clearly loved. Within the Hardiman Library is a bound volume containing a photographic album of the Hyde family during the 1890s. 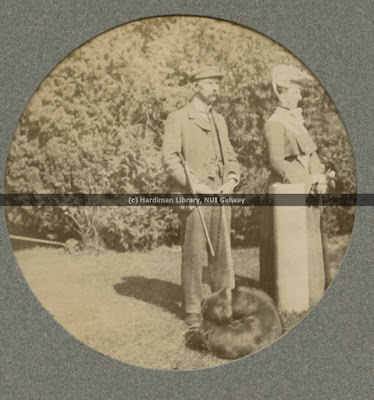 All of the photographs are taken at Frenchpark, County Roscommon, and the subjects are mainly Douglas Hyde and his family, other family members including his father, family pets and Douglas Hyde with locals. 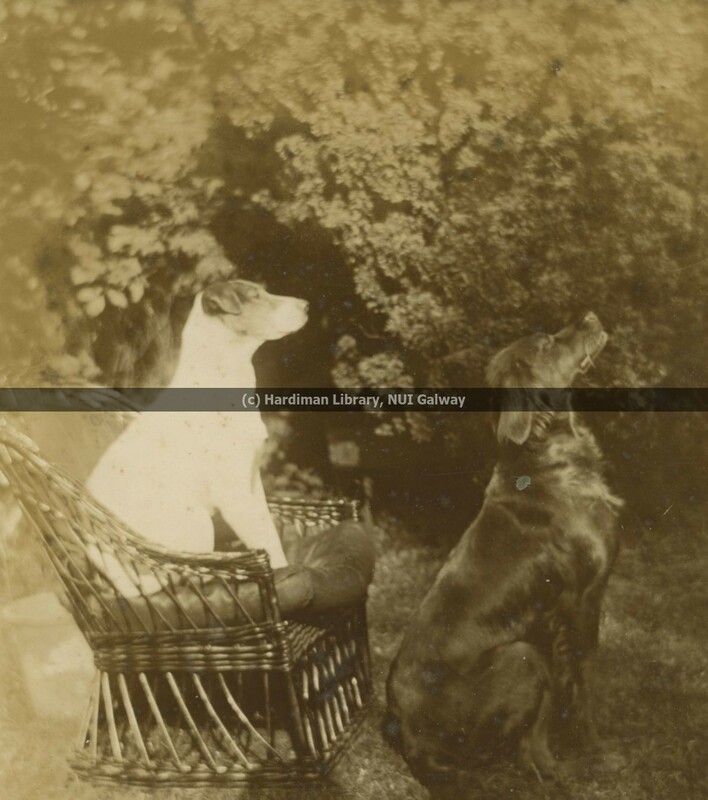 Of the sixty-six images included in the album, over half show Hyde or others with a range of family pets, from dogs, cats and goats to horses and cattle. The young Hyde was a keen huntsman and his general love of nature and contentment within the surroundings of Frenchpark and its rural estate and community reveal a side of Ireland's first president that is rarely seen. The album is a wonderful addition, among other Hyde papers at the Hardiman Library and which explore the deep connection to the West of Ireland to the social, cultural and political development of the State. Here are a selection of images from the album and the album in full can be viewed in the Archives Reading Room. 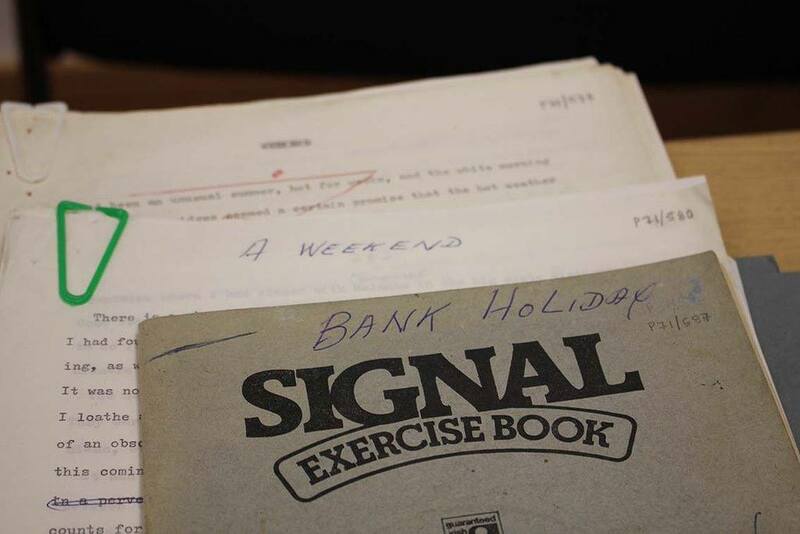 This week is the national 'Explore Archives' week. Archives services and repositories all over the country will be delving into their collections and sharing some new stories and rare items from their collections. All this week the Archives of the Hardiman Library will share some highlights and seldom seen items from our collections. Our archives range in date from the late 15th century to present day and cover a wide range of topics from the development of Galway city, the culture, landscape, language and music of Connemara and the West, great Irish writers, theatres and actors, as well as more modern records stemming from the years of conflict in Northern Ireland. For this first post we go back to where we started. Queen's College Galway, as we then were known, was founded in 1845 and opened its doors to a first cohort of students soon after. Our first Librarian was James Hardiman, historian and book collector and our University Library still bears his name today. 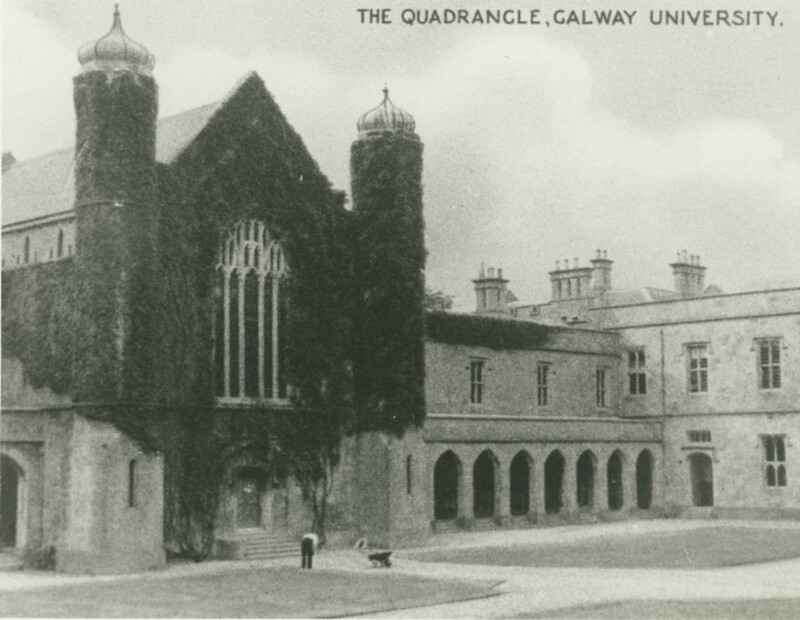 The University Quadrangle is a proud link to this early University heritage and you can look back at a recent programme of Building Ireland (available on the RTÉ Player) where the architectural history and original plans of the Quadrangle are featured. Here are a selection of images exploring our University history and we will share more posts exploring our wider archives throughout this week. Stay tuned for more stories from the Archives! Access to the linking software has been restored, so normal service has now resumed. Apologies again for any inconvenience this may have caused you. There is currently a problem linking to our online journals, as the software that supports it is currently down. We have contacted the software providers, and are hopeful everything will be back up and running soon. 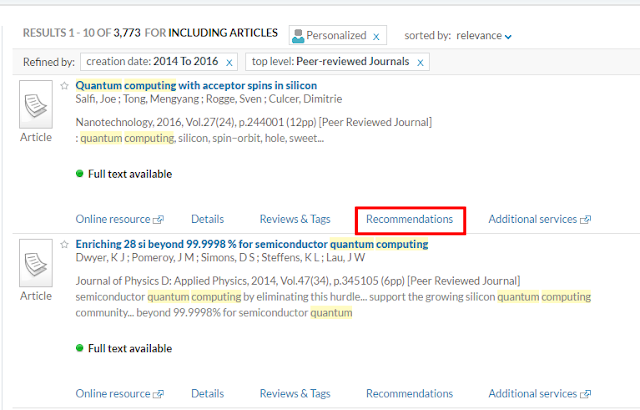 In the meantime, you can still access journals by going straight to the relevant databases in the catalogue. Just type in the name of the database (JSTOR, ScienceDirect, etc.) to navigate through, and access the journals you need from there. If you're not sure what databases are relevant for you, just visit the LibGuide for your subject area for more information. Our apologies for any inconvenience, hopefully the issue will be resolved soon. 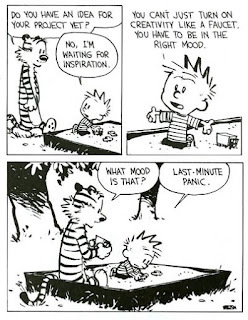 Left studying a little late? Fallen a bit behind? Don’t Panic! exams in a new AWC workshop. in the Library Training Room. *Click this link* to access the Library's e-journal collections. You can quickly leave feedback through this link. Please note that we are trialling the BrowZine software at the moment, so your feedback is important for us when considering a subscription. Many thanks. The trial will end on December 20th. BrowZine is a way to access, browse and read the Library's e-journal collection though an easy and quick interface. All of the Library's e-journals are available through BrowZine, so it's a quick way to access articles, all broken down into subject areas for better discoverability. BrowZine is an excellent way to browse journals in a subject area from across many publishers. However, for in-depth and advanced searching, we would still recommend using the Library Catalogue, not to mention the search interfaces of our many databases. Navigate through to find the top relevant journals in your subject area. Save frequently visited journals to your Bookshelf. Get notifications when new articles are published. Download the app version of the software to your device. You can still sync to your account whether you're using the web version of the app version. Apple app can be found here, android app can be found here. You can view the video below to see some of BrowZine's features. Please note though, that some of these will not be available to the trial version of the product that we currently have.